I think I have hopped on this train rather late, but I have a new found love for avocado. Its not something I would normally buy, but kept seeing yummy recipes using avocado on Pinterest and knowing how good it is for you, I thought I would experiment a little with it. So I threw together a few ingredients that I had in the cupboards and fridge and based the recipe on one I found HERE, and ended up creating a really tasty, and very simple, pasta dish. So what will you need? Place pasta into boiling water and leave until cooked. Peel and get rid of the pip of the avocado, add to food processor or blender. Then crush garlic and add to the food processor or blender, along with the spinach leaves. 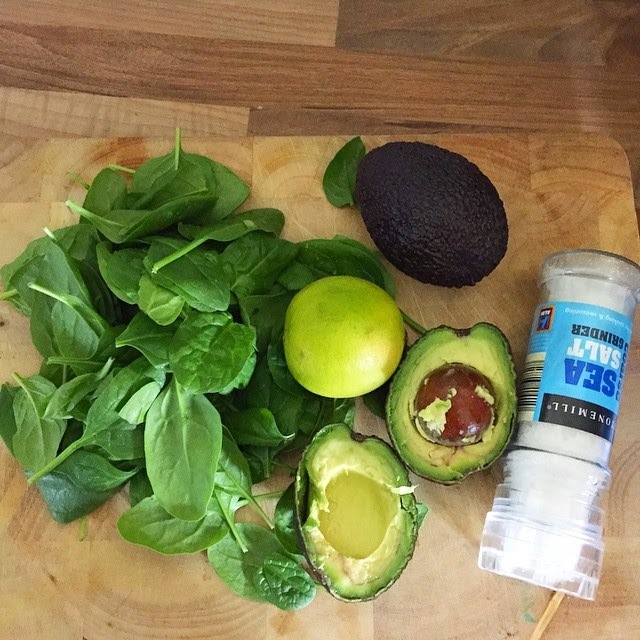 Squeeze the lime into the food processor and add sea salt to your taste. The blitz until a smooth texture. 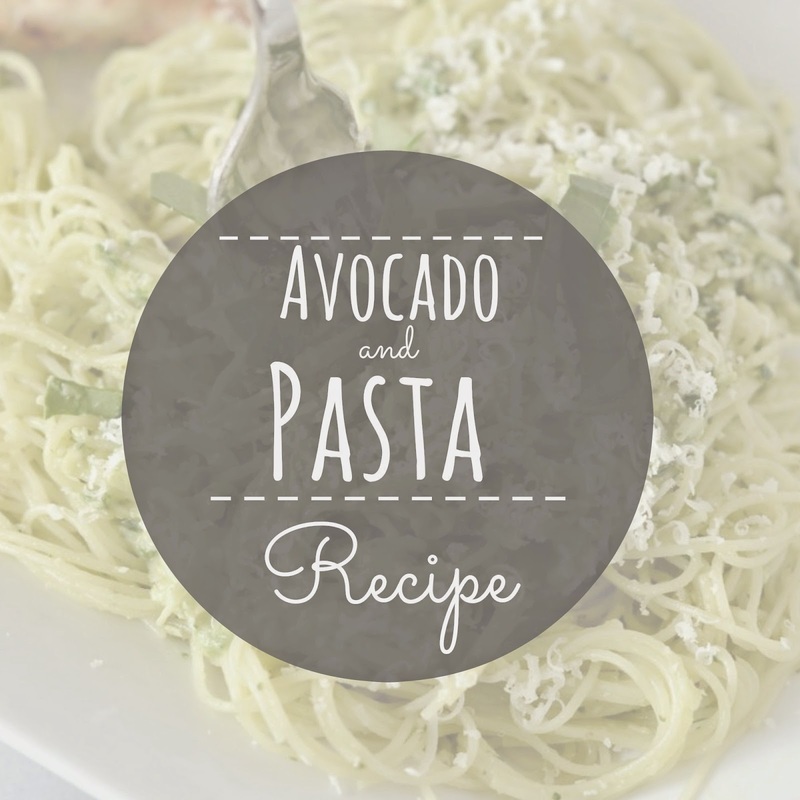 Once pasta has cooked add the avocado sauce you have made and mix well. Then add cheese to finish. 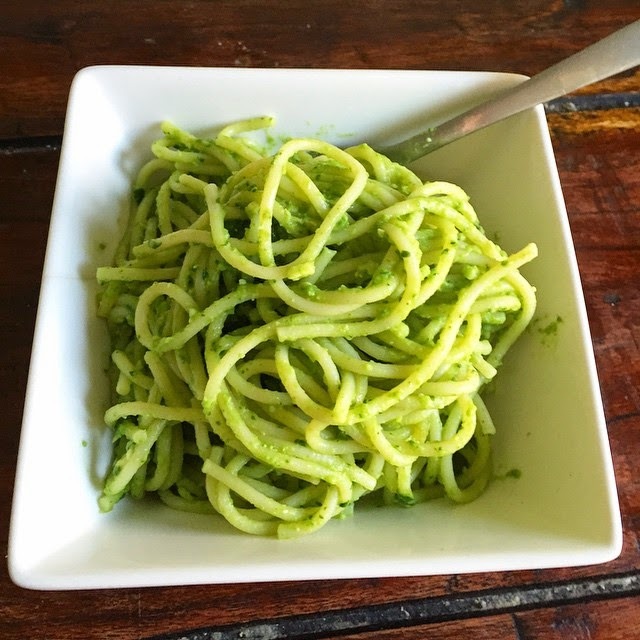 This recipe is so easy, takes very little time to prepare, is super tasty and healthy! Its now my go to quick fix meal, whats yours?